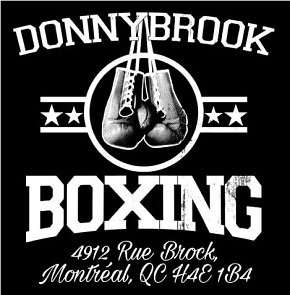 Last Thursday the Montreal Casino hosted another boxing gala from Groupe Yvon Michel which saw local fight fans entertained by solid performances from emerging pro talents. Light heavyweight Terry Osias and super lightweight Mazlum Akdeniz both scored wins in their pro debuts, securing solid points victories. Lightweight Michael Gadbois (16-1-3) notched his second win since returning to action this year after a long layoff, and Dario Bredicean looked very impressive in dominating his opponent to take his spotless record to 15-0. 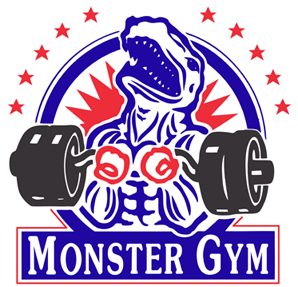 But the headliners of the card were Shakeel Phinn (16-1) and Oscar Rivas (21-0) and their wins could mark significant turning points for the careers of both. 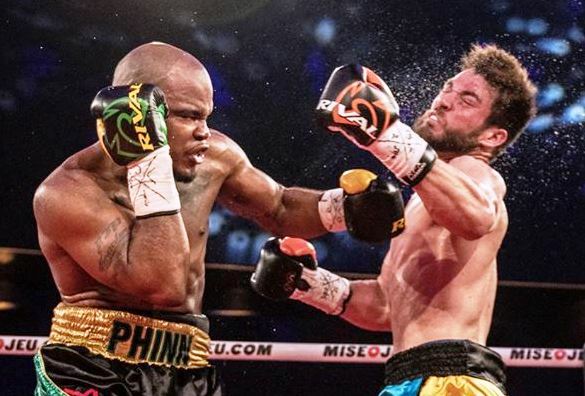 With a stoppage victory over heavy-handed Mario Aguilar (17-3), Phinn has his eye on the vacant North American Boxing Federation super middleweight title. Shakeel already holds the Canadian title at 168, so a major championship like the NABF strap makes sense for the next step in his career, especially after he turned in an excellent performance on Thursday night. Faced with an opponent who boasted 15 knockouts in 17 wins, Phinn never hesitated but instead brought the fight to Auguilar, scoring with heavy lefts hooks to both body and head. His unyielding pressure and powerful shots took their toll and soon Phinn was also landing huge right hands. It was a right to the temple in round four that had Aguilar doing the wonky leg shuffle and almost put him down, and for the rest of the round the Mexican took a pummelling. His corner wisely called a halt before the bell for round five. 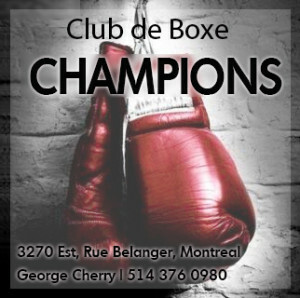 If there can be said to exist a quintessential Montreal boxing interview, it might be the one conducted with Phinn by our own Manny Montreal immediately after Shak’s big win. First, there’s some question and answer in French before the fluently bi-lingual Montreal native discusses his win in English with Manny. Then, during the interview, one hears the Montreal Casino crowd roar as Oscar Rivas scores a shocking first round knockout, Shak watching the fight as he answers Manny’s questions. One gets not only Shak’s take on one of his most impressive performances to date, but also a taste of the unique and always exciting Montreal fight atmosphere. What Shakeel had witnessed at that moment was an impressive display of raw punching power from the man they call “Kaboom.” Oscar Rivas is a native of Colombia and was an outstanding amateur talent, winning a silver medal at the Pan-American Games in 2007 and competing at the Beijing Olympics, where he scored an upset win over Kubrat Pulev. He turned pro under the guidance of Yvon Michel and trainer Marc Ramsay, and while his progress has been impeded to some degree by eye troubles and spells of inactivity, he looked impressive on Thursday night and definitely ready for bigger challenges. 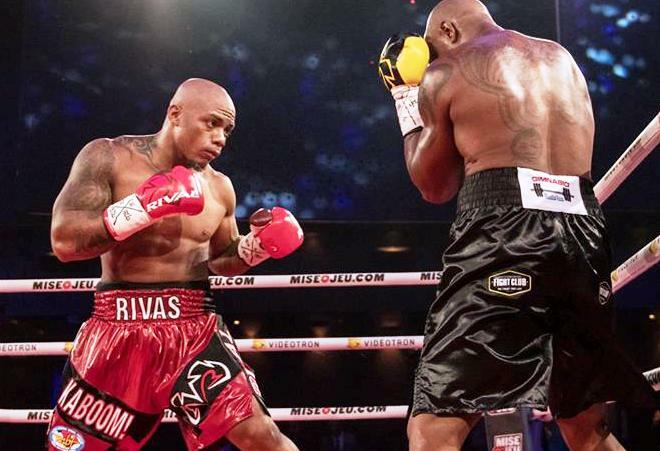 And indeed, the fact he was the headliner of the card is surely a signal of bigger things to come in the near future, as is the fact that this most recent win gives Rivas the vacant NABF heavyweight title. 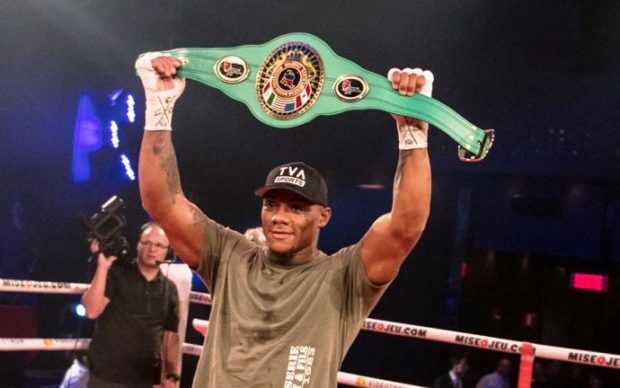 Carl Davis Drummond (31-5) was thought to represent a significant challenge for the undefeated prospect, who had not fought since July of last year, but Rivas started fast, stunned Drummond with a right hand, forced him to the ropes and then dropped him with another powerful right. Drummond got to his feet but was clearly in no shape to continue and just like that Oscar Rivas was the winner in 68 seconds.